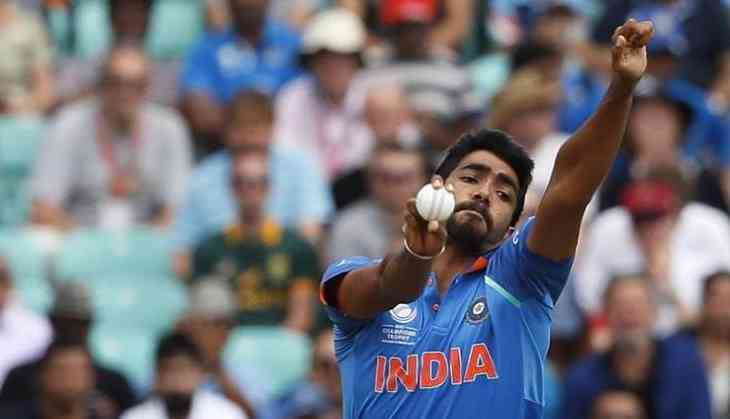 Indian pacer Jasprit Bumrah is arguably the world’s best bowler in white-ball cricket so it comes as no surprise that he is a role model to many budding cricketers around the globe. Jasprit Bumrah’s bowling action is unique and copying it would be a difficult job to do. Hong Kong cricket posted a video on their official Twitter account where a young pacer in an Under-13 cricket league tried to replicate Bumrah’s bowling action. Hong Cricket cricket posted it with a question: Spotted in the U-13s League today - another interesting bowling action. Does this remind you of somebody? Hong Kong cricket answered their own question by tagging Jasprit Bumrah and BCCI in the post. Bumrah has been sensational ever since he started playing for Indian national team. In 45 ODIs, Bumrah has taken 80 wickets and in 42 T20Is he has 51 wickets under his name. Bumrah has also played 10 Test matches for India in which he has scalped 49 wickets. The 25-year-old is currently on national duty playing against Australia in a five-match ODI series. The host lost the T20I series by 2-0 but bounced back in the first ODI to take the lead by 1-0. The ODI series is rehearsal before the upcoming 2019 ICC World Cup. The second ODI will be played at Vidarbha Cricket Stadium in Nagpur on March 5. India will look to continue their lead in the ODI series.